You can open the VBar Control unit as a USB drive, if its connected to your PC. There is no driver needed, and even the update tool is not needed to run for this. On the Root directory you find the "battery" folder. 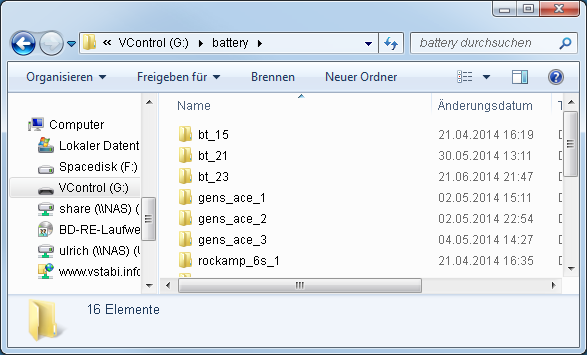 Look into the folder, you will find an subfolder for each battery you already added. The Folders usually get a random name like "bt_xx". The Folders can be renamed as you like. The name itself dosent matter at all. 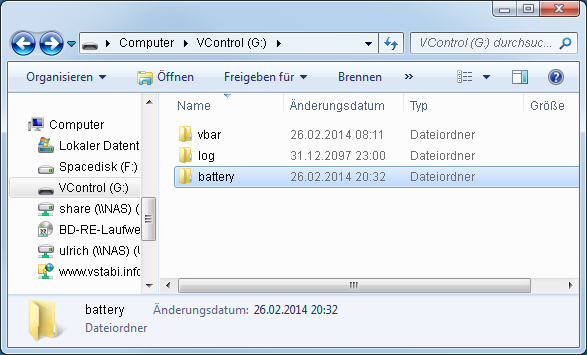 The Name of the battery is found inside the folder in a file called "name". This file is allowed to be edited by a texteditor to change the name. 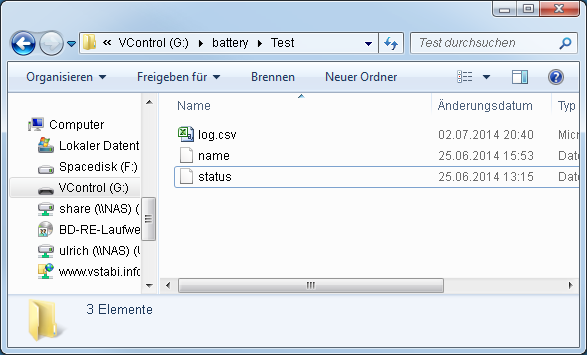 Additionally the folder contains a log.csv File, which is an excel readable sheet, that shows the history of the battery. It will be extended by one line, each time the battery gets connected. Note: If you want to save all logged data and even the battery settings, simply copy the "battery" Folder to a safe place. If the radio shall be needed to format for some reason, you can copy the folder back, which restores the complete list. Its allowed to copy single subfolders as well, they will be respected. This Method can be used to copy Batterys to other transmitters.